up.time® The next-generation of IT monitoring software. helping you react fast when unplanned incidents do happen. New Free Tool: Windows Health Check! 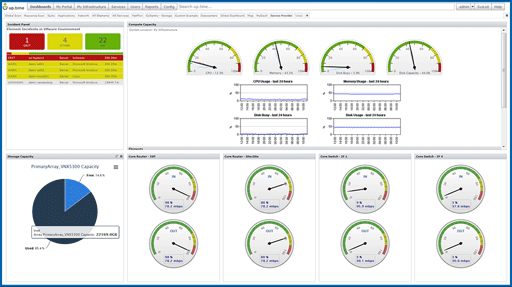 Monitor the health of your Windows Server from a single dashboard with the new free tool from up.time. application transactions and end-user experience. including anything with an IP address. graphs and reports, and SLA trend performance. you trending to run out of space. A simple, flexible, and cost-effective licensing model. network device) with all the features above included. savings in licensing, and especially in consulting fees." "It's essential that we're up and running 24/7. that keeps our customers happy…"
"The speed of deployment for up.time is something we have never seen before in a product like this. get this for a fraction of the cost of our previous solution is just an added bonus." Copyright © 2015 Idera, Inc. All rights reserved.